Proceeding north on Lincoln Avenue in Skokie, Illinois, a town immediately north of Chicago, one sees a tall, stately church immediately ahead. Lincoln Avenue then veers to the west, with Niles Center Road branching off to the west. The church in this triangular lot is St. Peter Catholic Church, with its school immediately behind. To the east, across Niles Center Road, is St. Peter Cemetery. 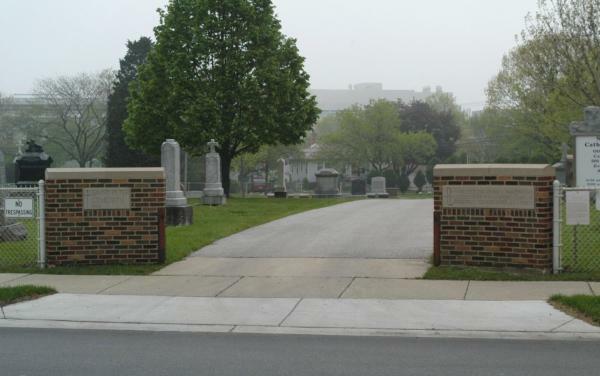 I visted St. Peter Cemetery on a cool, foggy morning in the spring of 2003.